LIVING SUSTAINABLY: Have yourself a merry greener Christmas! The holidays are upon us! Which is also the time we might panic, wondering what am I going to get for who, how will I decorate the house, and what on earth will I make to eat for the holidays this year? I’m sure we all have our yearly traditions and have grown used to certain ways of doing things, but have you asked yourself if what you are doing is worth the expense of harming this wonderful planet we all know and love? Maybe we can think about starting new traditions this year that can make the holidays greener – healthier for the planet and for us. Americans throw away 25 percent more trash between Thanksgiving and New Year’s Eve. 35 percent of Americans have unused presents sitting in their closets. About half of the paper consumed in America is used to wrap presents and consumer products. Consider upgrading your family’s holiday card by sending e-cards this year. If you do buy paper cards, consider purchasing one that provides a donation to a favorite charity. Buy gifts locally to support your local businesses and the local economy. Consider gifting a membership to an organization of the person’s interest or an online magazine. When buying electronics, look for energy efficient models, normally tagged with an Energy Star label by the EPA. Reuse any boxes or bags that you kept from previous gifts. Put gifts in reusable packaging such as bags, baskets, or fabric wrappers. Find gift wrap that is made with post-consumer recycled content. 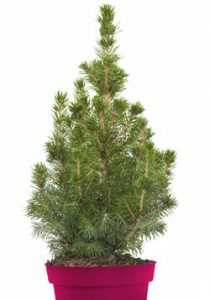 Consider buying a live tree with a root ball, native to the area, that can be planted in your yard after Christmas. If you plan to purchase or already have an artificial tree, be sure to use it for as many years as possible. Consider using few or no lights in your decorations. Invest in energy efficient LED lights, which can use up to 90 percent less energy and can last up to 100,000 hours. 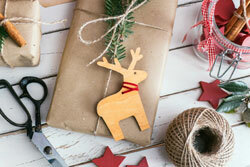 Make your own decorations using items at home or purchased from local businesses. Buy from your local farm market and research healthy recipe alternatives. Buy beverages and snacks in bulk to avoid unnecessary packaging. Serve food in washable/reusable plates and utensils. Have a Merry – and green – Christmas and a sustainable New Year! Anthony Aragon Orozco is a first-year engineering major at Hope College and an intern with the Hope College Green Team, which works towards creating a more sustainable community, on and off-campus, through outreach and education.